The bond between a mother and a child is unlike any other. One that can be beautifully captured with a camera. But if you’re anything like me, you’re always the one behind the camera in family photos and hardly ever in them. Even when we have our family photos professionally taken, I’m always too busy worrying about everyone else. I don’t get to relax and enjoy the photo session. The photos also tend to focus more on the kids and I hardly ever get to capture moments of us being ourselves. I’ve recently been reminded that life is truly precious and filled with moments we sometimes take for granted. I want to be in more photos with my children and grand children. This is why I have come to realize how important my Mommy and Me photo sessions are. Now is the perfect time to capture memories with your children, regardless of where you or your kids are in life. I want to make this photo session work for you. So whether you want a few photos with your children, or you simply want some memorable pictures of you and your own mother; I am here to guide you. This is your chance to get creative and really make a photo session about you and your kids and the special bond that you share. Bring along something that will make you all feel comfortable and will help you spend some time together as I do my job. For example, you might want to bring your little ones favorite Teddy Bear and some of her favorite books. I’ll capture your snuggles and story time. This is all about creating a space where you can enjoy being together so that I can perfectly capture these moments for you. If you are looking for an alternative to the traditional family portraits, the Mommy and Me portraits are ideal. Family portraits can require some extra effort to get everyone together and in the same place. Family portraits are a wonderful way to capture those special moments of you and your children through the years. However, a Mommy and Me photo session is easier to style and coordinate. 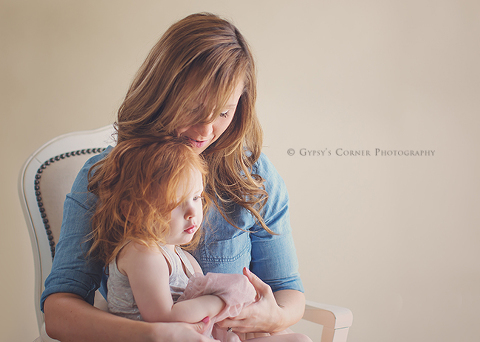 I love that Mommy and Me portrait photography is intimate, sweet and with very little fuss. These sessions don’t take very long and will free up your schedule to spend more quality time together. These sessions provide a space where those natural interactions and emotions can play out. Resulting in a mini time capsule of your current relationship. You might even want to make this an annual tradition so that you can beautifully document the relationship with your children. Are you currently looking for a Buffalo Family Photographer for a Mommy & Me Session? You can book your session HERE! I would love to hear from you. In addition I offer Newborn, Milestone and Maternity Sessions. I also specialize in Fairytale portraiture for children. Please visit my website for additional information on my sessions and rates at www.gypsyscornerphotography.com . If you are ready to schedule your session, please send me an email: gypsyscornerphotography@gmail.com. 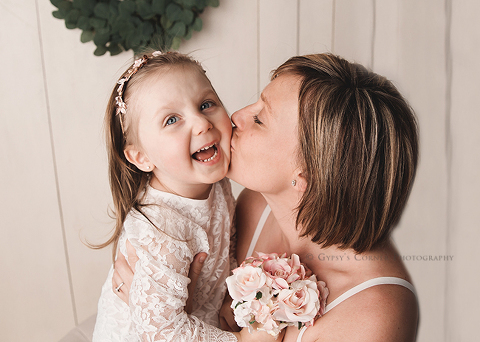 Tam Nelson of Gypsy’s Corner Photography is a professional Newborn and Baby Photographer also specializing in Children, Family Photography and Fairytale portraits. Gypsy’s Corner Photography serves the Buffalo NY, Williamsville NY, Amherst NY, Lancaster NY, Clarence NY and surrounding Western New York area.